Our Team « Jeff Brown P.C. 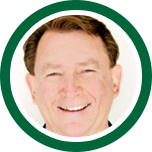 Jeff is the founding principal of Jeff Brown, P.C. a full service public accounting firm which specializes in tax compliance and planning for small businesses, including start-up ventures. He helps business owners plan for the future and grow their company with his expertise in business taxation. 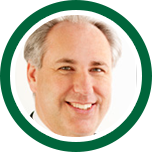 Jeff has more than 20 years of tax planning experience, including several years in a senior role at an international CPA and consulting firm. He has been featured in Business Week Magazine where he discussed how to prudently use retirement funds to start a business. He is a licensed CPA by the State of California. He has a BSBA from The Ohio State University School of Business and is currently on the Board of a non-profit organization that rescues dogs. Ed is the Senior Tax Manager and is responsible for complex tax strategies, compliance planning and transactional analysis. For example, he evaluates scenarios for tax structures, stock option plans, profit sharing plans, business acquisitions, dual-residency foreign tax issues and capital expenditures with our clients. He has been with the firm since 2009. Previously, he held senior tax accounting roles at Downs & Tsuruda, and before that he formed his own tax accounting firm, grew it and successfully sold it. He has worked in controller roles for mid size corporations and and gained early training at Arthur Andersen & Company. He has a BA in Accountancy from Northern Illinois University, with additional graduate level studies from Bethany Theological Seminary. Stephanie Gall joined our team in August 2010. She is a Certified Public Accountant Candidate with significant experience and education resolving payroll tax issues. Stephanie also assists clients project their income tax exposure as well as prepares income tax returns for both businesses and individuals. 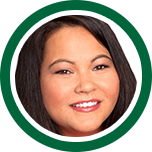 Stephanie is an expert in tax problem determination, correspondence and resolution with various taxing authorities. 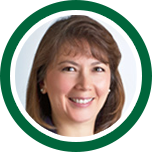 Stephanie comes to the world of accounting after a 13 year career as a Civil / Structural Engineer with advanced degrees from the University of California at Berkeley and the University of Maryland. She is fluent in French and also speaks conversational Spanish. 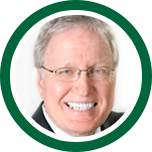 Gary manages all of the firm’s day to day operations and also handles many essential client-related activities. He manages the client mailings, the tax organizers, and the printing and processing of tax returns for clients. He oversees operations and technology use in the various offices. He has extensive experience from managing several small businesses. He has a BA in Business from Midwestern State University in Texas. Brandi will likely be your first contact with us. She is smart and engaging – she will take good care of you! You may have already received an e-mail from Brandi helping you schedule an appointment. Brandi will also help facilitate the process of transmitting your tax documents to us via e-mail, cloud storage, fax or snail mail. But she will also help you should you need a copy of a previously filed tax return that was prepared by our firm or any other tax document that you have previously provided to us.